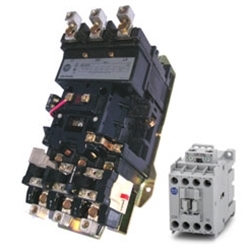 RNT Supply, Inc. is THE source for all of your Motor Starter and Contactor needs. We offer a wide selection of control products from all major manufacturers. We stock thousands of units in both IEC and NEMA configurations, ensuring we have the part you need, when you need it. Whether you need a component for an emergency replacement, or you're looking to configure a multi unit control panel, our knowledgeable sales team will help supply you with the right parts, at the right price.